It typically doesn’t bode well for a client when their lawyer gets busted breaking the law, but that’s exactly what has happened with John Dowd, the leader of Trump’s legal team in the Mueller probe. Reports are showing that Dowd exceeded the legal limit for campaign donations to the Trump campaign, a move that has landed several high-profile Democratic donors in jail, but Dowd is unlikely to face any severe consequences other than a severe hit to his credibility when he goes up against Mueller. Ring of Fire’s Farron Cousins discusses this. John Dowd is Donald Trump’s personal lawyer. He is the lead counsel protecting Donald Trump from the Robert Mueller investigation. 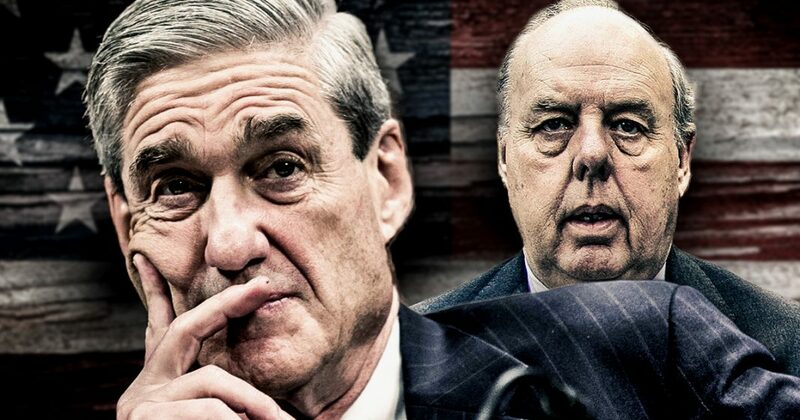 John Dowd is the guy who is supposed to defend Donald Trump against all the allegations and potential indictments that may come out from this Mueller investigation. And this week, we found out that John Dowd is also a complete idiot. John Dowd has been popped for illegally contributing more money than is legally allowable to the Donald Trump campaign. You see, an average person can only donate $2,700 to a presidential campaign. John Dowd donated $3,000, so he went over the legal limit by $300. And what happened was that on, I believe it was July 4th, 2016, he donated $300, then less than three months later, he donated another $2,7000, which put him over the legal limit. Now, don’t worry about John Dowd, he’s not gonna go to jail, he’s not gonna be prosecuted or anything like that, because he’s not a Democrat. And I say that because plenty of Democratic donors have been prosecuted for doing the exact same thing. But nonetheless, John Dowd has nothing to worry about, other than the fact that this guy just basically lost all credibility, and he’s the one who’s supposed to be protecting Donald Trump from Robert Mueller. How is that going to play out, if Donald Trump ends up on trial, or in front of a Grand Jury, and that Grand Jury understands that, “Hey, isn’t that the moron who didn’t know the legal limits for campaign contributions? Or the guy who broke the law by giving too much money? Why would I believe a single word that this idiot has to say?” That’s the problem that John Dowd is facing right now, so he’s got bigger issues to worry about, other than being prosecuted for violating FEC guidelines, he is risking his client because he is so incompetent and inept, or just downright corrupt, that he can’t comply with campaign finance laws. It’ll be interesting to see in the coming weeks, if Donald Trump decides to keep John Dowd on as his lead attorney, because again, this guy just lost all of his credibility. Because either he’s so corrupt that he decided to break the law and thought he’d get away with it, or he’s so stupid that he didn’t realize he was breaking the law by donating too much money. Either one of those should be enough to make any person in the United States wanna fire their attorney, if that’s the person who’s supposed to protect you from going to prison.